“The greatest good you can do for another is not just share your riches, but reveal to them their own”. Did you HEAR? We are looking for Mentors to help support our scholarship program. In May 2019, The HEAR Foundation will be awarding up to 30 college scholarships to High School graduates in financial need, who show perseverance and demonstrate academic excellence. Many of these students will be first-generation college-goers in their family. You can help them navigate the first two years of their new and exciting journey! Patti Kelly, HEAR Foundation Mentoring Chair. In order to support these scholars we are focussing attention now on recruiting mentors for what will be the HEAR Class of 2023. So who would you be a mentor for? 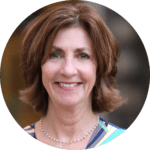 Our HEAR Foundation Mentoring Chair, Patti Kelly, works hard to pair Mentors with Scholars. Often it could be that the student is embarking on a similar career course as you did, or maybe they see a good personality fit. Either way, becoming a Mentor has the potential to change not just the life of our scholars, but yours too, as you share your knowledge and experience, and watch them graduate from college and move on in the World, you’ll have the satisfaction of knowing that you had a positive influence on a young person’s life. 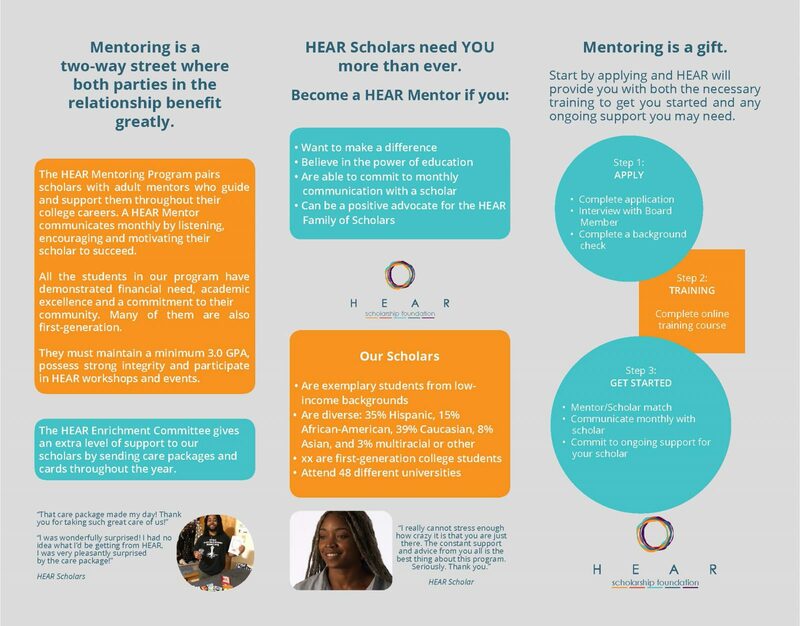 If you, or anyone you know, is interested in learning more about becoming a mentor (or are ready to volunteer your services), and want to make a meaningful difference in a young person’s life – whilst at the same time no doubt enriching your own – please contact our Mentoring Chair, Patti Kelly at: patti@hearfoundation.org. If you are ready to offer your services then please complete the application form below. Thank you!